As outlined by Bill Jones on these pages, this case was a particularly egregious one. 1. The reduction from ten to five years of pre-trial detention is positive, but still allows Turkey to effectively imprison dissidents for lengthy periods with little or no evidence, and no opportunity for the accused to effectively defend themselves. 2. While we are delighted by this news, the fact remains that Erdogan and others had years of their lives stolen from them by the state. 3. 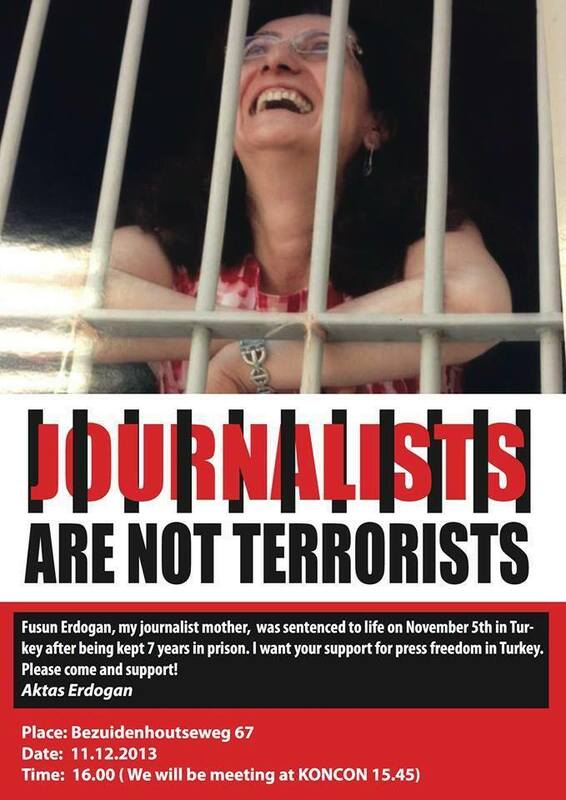 Many – including dozens of journalists – remain behind bars in Turkey. This is an important victory. But there is a lot of work for us to do. This entry was posted in Freedom of Expression, PKK, Press Freedom, Turkey, Uncategorized and tagged Bill Jones, Fusun Erdogan, Journalists, pre-trial detention, Turkey. Bookmark the permalink.